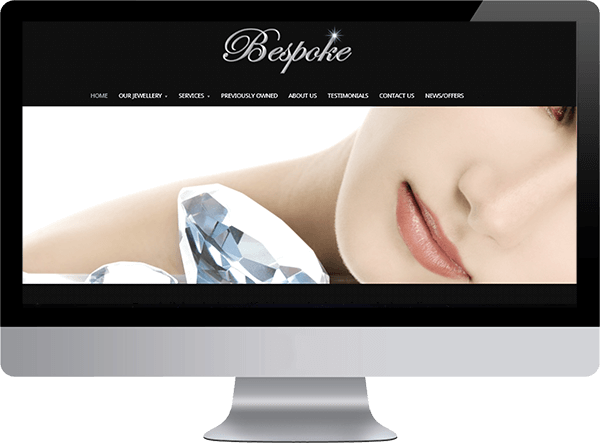 At Pink Desk Studio we specialise in the design and build of WordPress websites for local businesses and organisations. We pride ourselves in providing a personal bespoke service which always meets and often exceeds the expectations of our clients. We provide full training so that our clients can manage and update their own websites if they so wish. We also provide ongoing support to many of our clients. 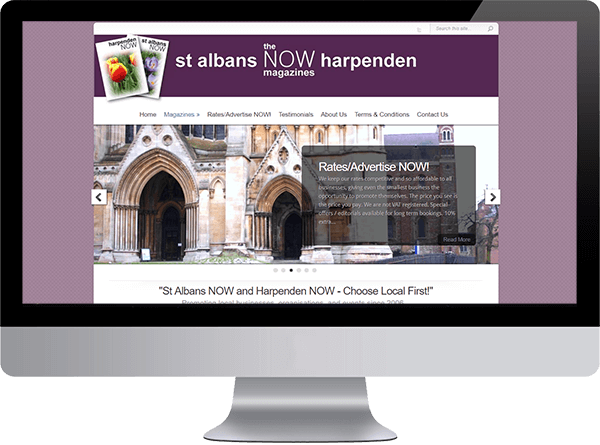 We are based in St Albans, Hertfordshire and provide a full web design service in the local area. 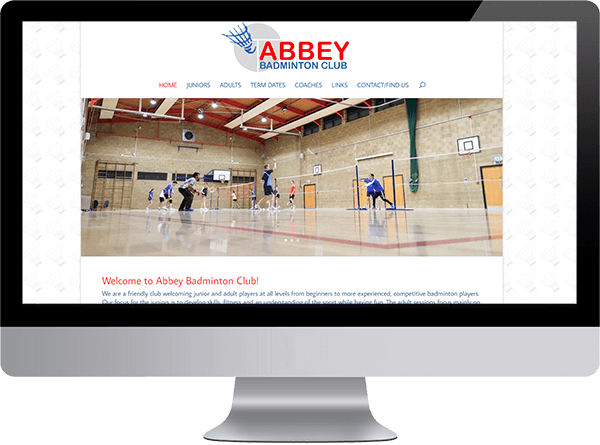 Abbey Badminton Club needed to refresh their existing WordPress website and to give it a new look and feel. It has been a pleasure working with Keith who was open to new ideas but at the same time was able to give great feedback about what he liked and wanted from his website. Pink Desk Studio provides ongoing updates and support for the Abbey Badminton Club website. 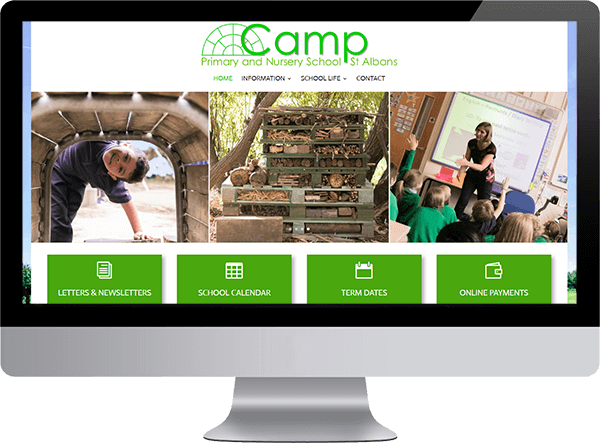 Camp School had an existing website that needed an overhaul. The main criteria was that it had to be simple for parents to use and for staff to keep up to date. It was with great pleasure to be invited in to take photos at the school to use on the website and the pictures chosen really reflect the friendly and welcoming nature of the school. Once the website was built, training was provided for 3 members of staff who are able to update the website. Ongoing support and development is provided by Pink Desk Studio. 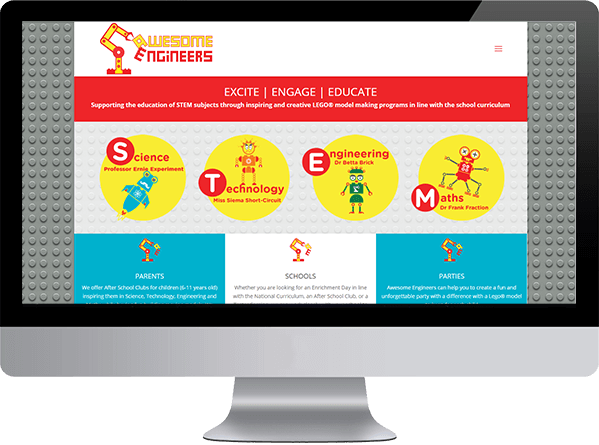 Awesome Engineers is an exciting growing company working with kids and adults AND Lego® so it was a great pleasure to work with the team to create a new website to capture and organise all the great activities and events they offer. As the company grows, the website is ready to grow with it and is designed to be fully extendable and future-proofed. 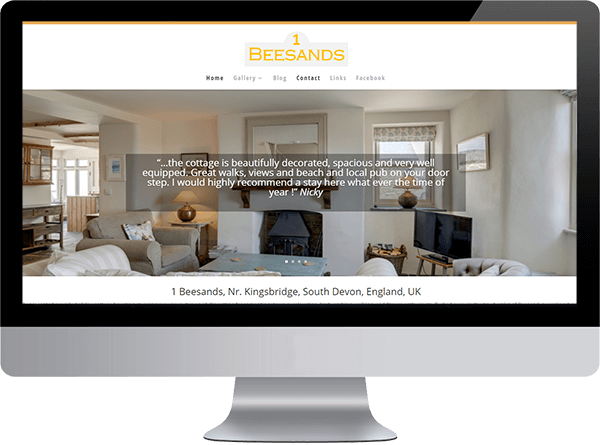 It was a pleasure to work on Deborah’s new website for her holiday cottage; 1 Beesands in South Devon. She created her own website using Weebly but wanted a more professional and up to date look as well as more control over her website. The new WordPress site went live in September 2017 and Deborah is able to blog and make updates after a short training session. 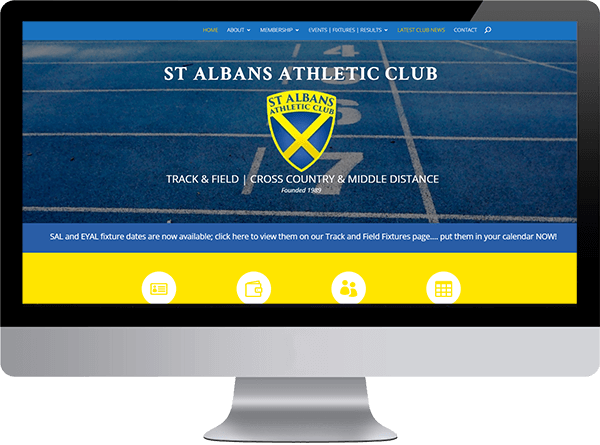 St Albans Athletic Club had a website built using Weebly that needed to be brought up to date. Using the club colours, the site was re-designed to improve navigation, overall look and feel, and content. The club is run by a team of dedicated volunteers and it is a pleasure to sponsor the club website. John had a WordPress site but felt it needed redesigning to simplify the navigation and to make his amazing portfolio easier to view and filter. We gave the website a fresh new look and redesigned his logo; John is now able to easily make updates and add new content and video clips. We were pleased to launch John’s new site in February 2015. 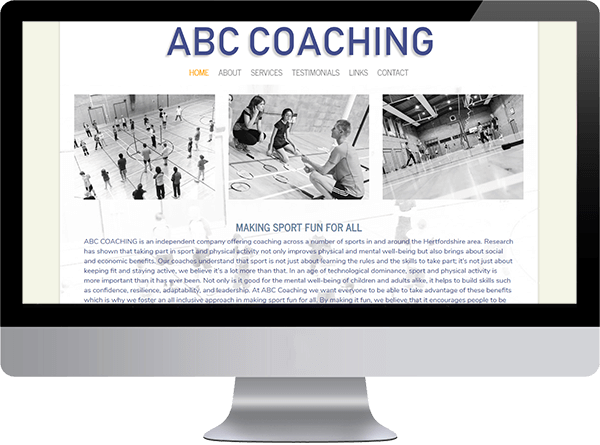 ABC Coaching is a new local business run by an experienced Badminton coach, Keith Burns. Keith was looking for a modern looking website with easy navigation to attract clients to his new business. He was also looking for a design that could be extended and modified as his coaching company evolves. It has been a pleasure to work with Keith and am delighted to provide ongoing support and development for his website. When we first worked on the GFS website back in 2009, it contained about 15 pages. Over the years, the site grew to over 40 pages with links to numerous blogs creating a hub of information for teachers, parents, and pupils. 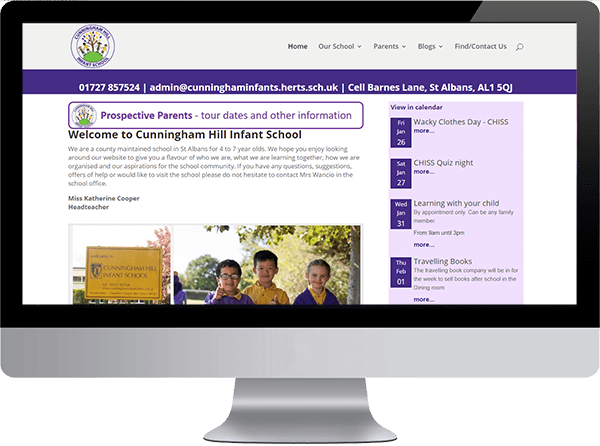 The head teacher wanted a new look for the site so we decided to use WordPress which would allow for greater functionality and also give the school more control over the content. The new site went live in July 2014 and was then given another face-lift in 2016. The site is managed by Pink Desk Studio but the Communications Manager at the school is able to make updates and add new content easily. The school already had a WordPress site but it was looking dated and the navigation needed simplifying. The new site is in keeping with the school branding but is also looks a lot more up to date. We used photographs taken around the school giving the site a real bespoke look. The new site allows the admin staff to make updates when necessary (eg. latest news, events, calendar, etc) and add content easily. The Headteacher and teaching staff are set up to blog improving communication with parents. Pink Desk Studio provide ongoing support and site development. The old school website was built in Dreamweaver and was difficult to keep up to date. The school were looking for something that was easier for parents to navigate and for members of staff to keep up to date. It was a real pleasure to work with Justine and her team who had a clear idea of what they wanted but were also very open to new ideas. Katie had a website that needed refreshing and bringing up to date. 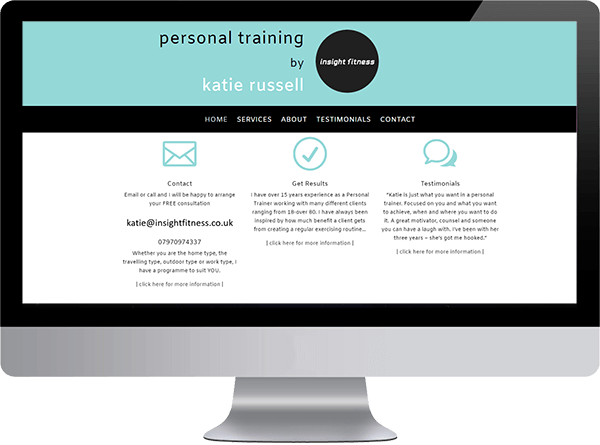 She wanted a website to give her an online presence and to advertise her services as a Personal Trainer. Katie was given a short training session and manages the content on the website so can make updates as and when she needs to. It is a pleasure to provide Katie with on-going support and maintenance. Barry’s old website needed updating with new content and new look and feel. He wanted a black and silver colour scheme to show off his services and products. Barry uses Facebook to interact with his clients and the website is managed by Pink Desk Studio. 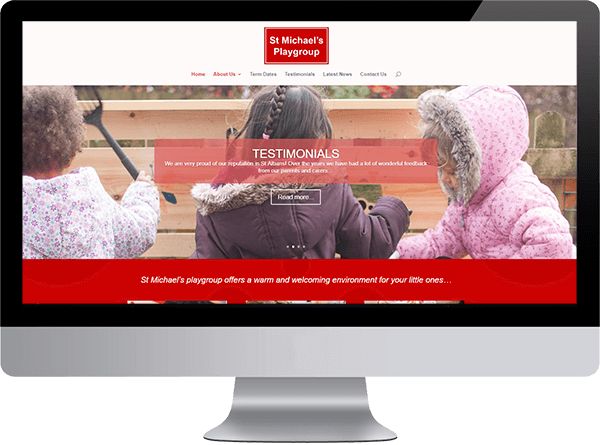 We built the St Michael’s playgroup website using WordPress. This allows the staff there to make updates when necessary and also to blog; a great way to keep the parents informed of what’s going on. We currently provide support for this website which avoids Sharon and Julia getting bogged down with too much technical stuff. It also means that we get a chance to go into the Playgroup every so often, meet the children and take pictures of them. 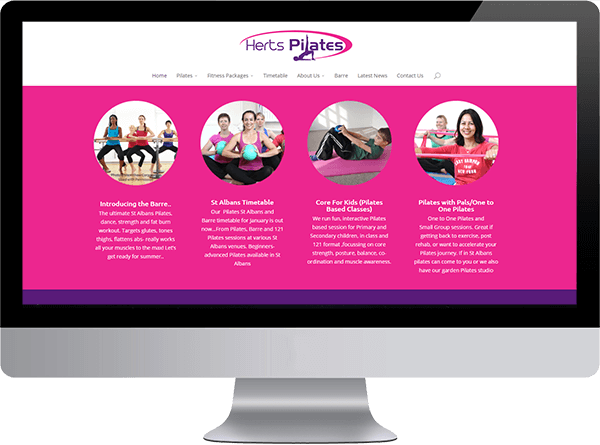 Claire is a local Pilates instructor and we first worked on her website a couple of years ago when we moved it from Dreamweaver to WordPress. She recently contacted us again to help her make a few improvements to her site and we ended it giving the whole site a face-lift and automating her booking system. The new site was launched in December 2014 just in time for Christmas and the new year! Claire continues to update and manage the site herself as well as looking after her class bookings. The old website needed a re-design to make it look more modern and easier to use and update. 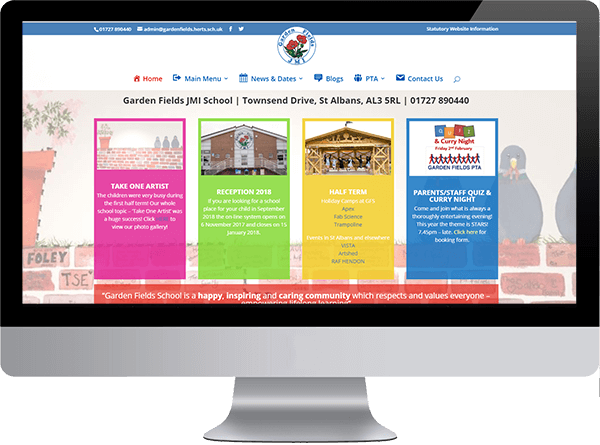 We are really pleased to have worked with the Head Teacher and staff at the school to produce this lovely website for them; it reflects the ethos of the school and the local area. The staff are now able to blog and make updates themselves. The site went live on the first day of term, September 2014. Pink Desk Studio provide ongoing support and development. 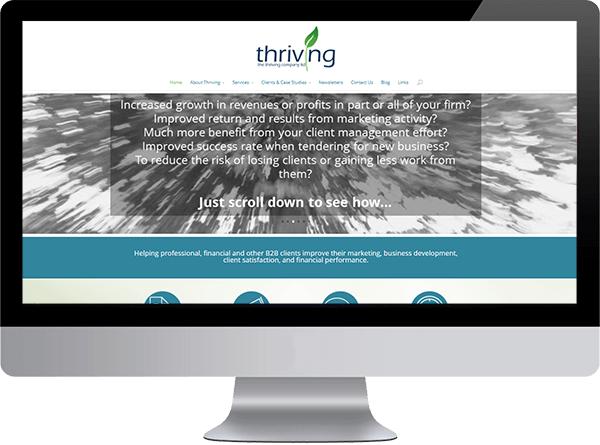 The Thriving Company had an old website which needed updating. Robin already knew about WordPress as he had already been blogging so understood the advantages of being able to update the site himself. The site was built to integrate his existing blog, his old logo was freshened up and the site now has a clearer navigation system and modern look. Robin has been trained to manage the site himself and is able to edit the content as and when required. The new site was launched in October 2014. 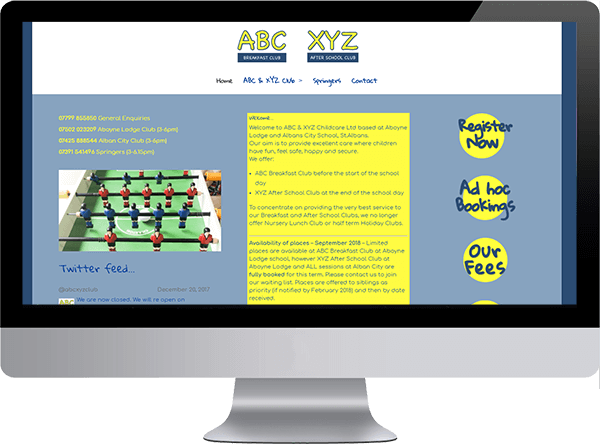 ABC & XYZ clubs is a breakfast, after school and holiday club based in 2 local schools in St Albans. They had an out of date website that was difficult to update so wanted a facelift that fitted their existing branding. The new website went live in October 2015 and is updated by the club with technical backup from Pink Desk Studio. It was a pleasure to work on another website for an existing client. 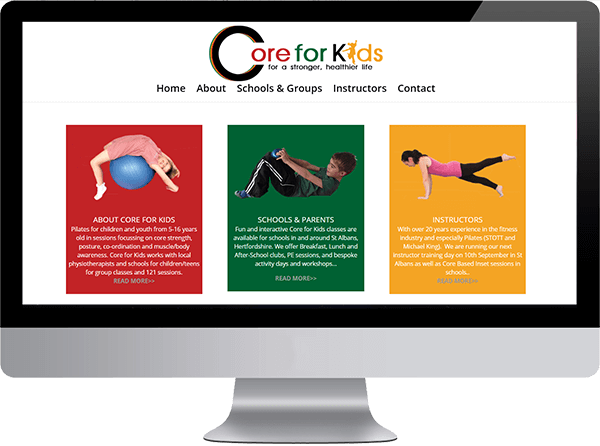 Claire already had a logo for her new business and wanted a website using the same colours with plenty of photos to show off the fun the kids have in her classes while benefiting from pilates. 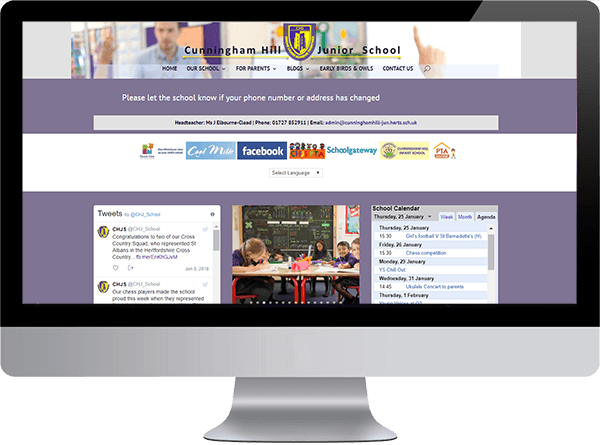 The website is easy to navigate and provides the information required for parents and schools. 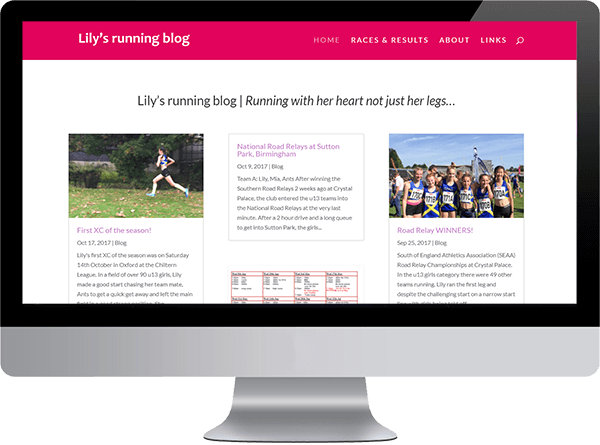 Lily is a runner; this blog is kept to document the events she’s taken part in. This is an example of a very simple blogging site. Jane and Wendy are two editors of a local magazine providing advertising for businesses in the local area of St Albans and Harpenden. Through their new website and using a fantastic magazine publishing tool called Issu their monthly magazine is now online opening up a huge audience. Jane and Wendy manage the site themselves. When we were looking at redoing our website we investigated quite a number of providers. We decided on Pink Desk Studio as it was very competitively priced and came highly recommended from other schools. Mei spent a lot of time talking through how to make our website fit the character of our school and also talked to us about making it as ‘parent-friendly’ as possible. As a result we have a great website which has recieved lots of positive praise from parents, and more importantly, the training that Mei gave us has ensured that it is really easy to update each week. Also Mei is always on hand at the end of an email or phone to sort out anything we get stuck on – a truly great service! Mei listened to my ideas then improved upon them. She is technically proficient and imaginative with a broad range of skills. I am very pleased with my new website which is a huge improvement on my old one. Mei continues to manage my website so I don’t have to worry about updating it myself! Mei has designed and maintained our website with a great balance of listening and suggesting! We have learnt a great deal from her and have very positive feedback from our website users. The on going training is fantastic. Mei is always willing to answer any questions how ever big or small. Mei works fantastically well to enable the success of our website for all users. Mei listens carefully to our needs and supports in how this can work efficiently through web design. Mei also keeps up to date on statutory guidelines for school websites and advises as appropriate. The training of staff is efficient and remote support is available should something go wrong! The popularity of our website for parents and prospective parents is attributed to Mei and I would recommend her to others without hesitation. I was highly recommended Mei from one of my customers and the results are amazing, from the initial consultation to the finished website with superb support. I would have no hesitation recommending Pink Desk Studio! Mei was introduced to us by Garden Fields school because of the high quality of her work for them. And she is a great find for us. Not only is her technical skill first class (I guess you may expect that) but her approach is highly professional but at the same time flexible and friendly. As a small fast growing business it was of great benefit to us that Mei took the time to understand what we were trying to achieve overall and the key role the new website would have for us. Her work and the result has exceeded our expectations and I had no hesitation in extending our relationship to enable her to look after our website ongoing. I can unreservedly recommend Mei to anyone looking for similar services. Thank you Mei at Pink Studio for all your help, support and hard work on the Herts Pilates website. Your organised, creative and customer focussed approach to the design were fantastic. The site layout and navigation is great, my customers love it and the new booking system integration has made our lives a lot easier, thank you! 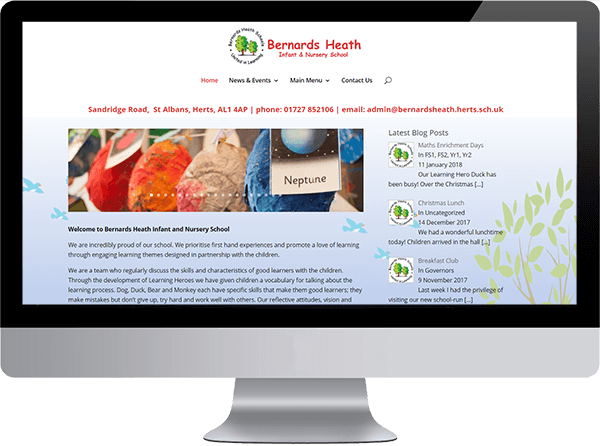 Mei Li has worked with Garden Fields on our website since 2011 and in that time she has achieved an outstanding interactive website that encapsulates the vision of the school allowing parents an insight in to the school through the engaging year blogs and home page. We felt we needed to write to say a huge thank you for your work on our website. When we came to updating our website, you were fantastic at giving us fresh ideas and layout plans to make our new website clear and easy to use. Feed back from our clients has been very positive and we are very proud of it! As well as the excellent design work on the site itself, your support with the technical background and management of the site has been greatly appreciated. All the information we need to manage the site ourselves has been clearly presented and if we have had any problems, your prompt replies have helped us on our way! Thank you for all your continued hard work and attention to our site. Copyright © 2019 Pink Desk Studio All Rights Reserved.